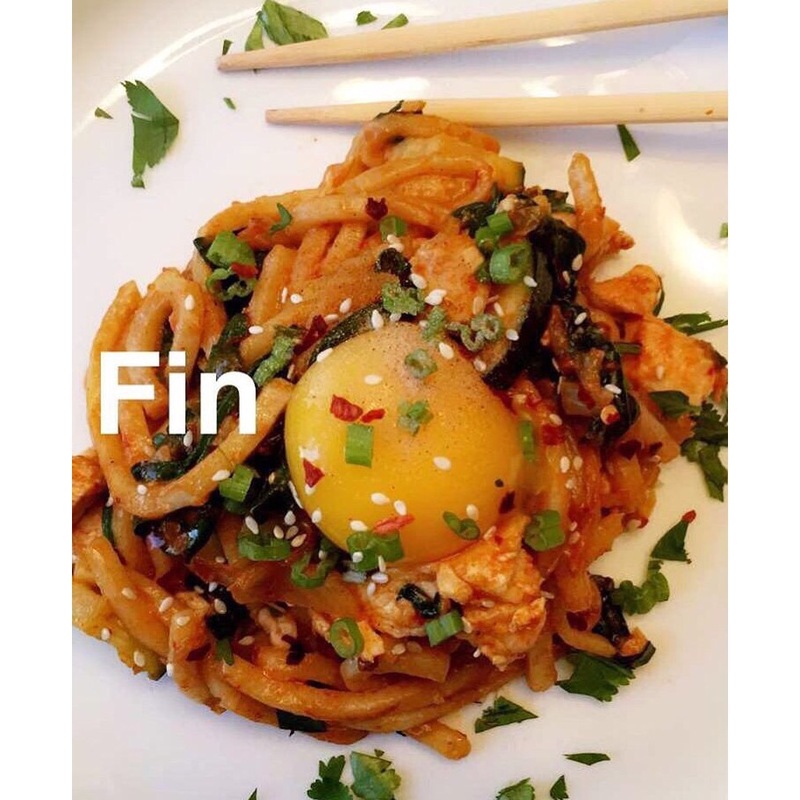 Cooking with Your Future Baby Mama: Kimchi Udon | iamstylingonyou. So Kimchi is one of my favorite things. It’s spicy has some crunch and is VERY good for your body because it’s fermented (more info here). Anyway about a year ago I was scrolling through Twitter and I saw a recipe for kimchi udon. So after making it a few times and innovating on the recipe here we are at my version. I like texture in my meals so I wanted to include that in this dish. So I add kale, shredded, carrots, mushrooms, proteins etc. You can easily remix it into your own version as well. Check out my version below and if you finesse your own I’d love to hear about it. Enjoy! Start with putting you noodle water on and bring to a boil. While your water is heating up heat both olive oil and sesame oils in a skillet. Once heated add the white part of the green onion and the cilantro stems. Once the onion is translucent add your mushrooms and mirin (season with salt and pepper).After about 3 mins add your chopped Kimchi and the juice, soften for about 3 mins. Turn your fire off add green part of green onion and cilantro. Plate noodles and top off with any left -over cilantro and green onion and finish with Furikake.